went into ensuring that the game was challenging and engaging to all playstyles. even players new to Final Fantasy IV ample time to adjust. With that said, my main objective was to create something fun! Enjoy!! Final Fantasy II (USA)(Rev A).sfc. You will need the Lunar IPS patching tool as well in order to apply the .ips patch. are concerned about losing them. issues afterward or need help on how to patch, feel free to contact me. -First, and foremost, you would be well-served to speak with everyone in the Training Room in the first town you explore. You will be told the location of it during the story. -General menu navigation speed has been increased. -ATB gauges for the player party have been added in battle! -Many characters have had their stats and levels adjusted to account for the point where they join the story. -Some characters join at pre-set levels (mostly the early characters). Later characters will join around the average level of your party. -Potential for stat-downs at levels >70 have been removed. Level ups >70 are still randomized, but will always be in the positive direction. -Spell lists and learned spell levels have been adjusted for most characters. -Several spells have had their power/accuracy/cast time adjusted in an effort to make all spells serve a purpose. -Black Magic is now primarily a single-target spell group, while Summons enjoy mutli-targetting and no damage splitting. -Sylph (Summon) has been removed from the game as a bug present in vanilla causes this spell to cast at no MP cost. Because of this, Asura has been made available earlier and had its MP cost and power adjusted. -Chocobo (Summon) spell power has been increased significantly and changed to deal Air damage. -The Summon items Imp, Bomb, and Mage have been dummied out and no longer drop. -Virus (Black) is now Dark element in order to give the party a way to deal magical Dark damage. -Venom (Black) is now Dark element and equivalent to Level 1 spells. -The Warp (Black) spell has been removed from the game as it was largely redundant to the Exit (White) spell. -The Sight (White) spell has been removed from the game. -Waken (White) has been added. This spell removes Sleep and Stun (Combat only spell). 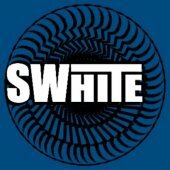 -Bless (White) has been added. This spell removes Curse (Combat only spell). -The Exit (White) spell has been disabled in a number of locations to prevent sequence-breaking teleports. -The Ninja spell Pin has been removed. -Ninja magic has gained a spell called "Bandg" (Bandage). It provides a small emergency heal to one character. -A number of enemy-only abilities have been adjusted to provide for more engaging fights. Dark Wave: Everyone's favorite Dark Knight ability is back. Provides group damage at the expense of HP. Pray: Chance to cast a variety of healing spells on the entire party. 20% chance to fail. Spells do NOT consume MP! Sing: Revamped to affect all enemies and removed chance for failure. Focus: Charge up an attack for double damage. Bypasses "Fight" counter-attacks. Luck: Self-cast increase to critical hit rate by 5. Stackable. Flirt: Reduces one enemy's chance to hit by half of the user's modified Vitality stat. Stackable. Aria: Sets group regen at 25 HP per tick. Caster is able to freely act while this occurs. Sneak: Removed from the game. -Equipment you find in new shops is *almost* always a direct upgrade in the same weapon/armor class. -A lot of gear has had its properties and stats changed. Please refer to the included Weapon/Armor chart (may contain light spoilers) or to the Equipment screen. -The Equipment screen has received an overhaul thanks to Crow! 's Equipment Screen mod. Nearly all information about a character, their attack/defense power, elements, racial bonuses, etc. can be found on the equipment screen! -Negative stats on equipment have been almost entirely removed. -Evasion has been removed from most armor. Shields, light bodywear, and medium bodywear are now the only sources. -Racial, elemental, and status bonuses now only appear on shields and accessories. They are much more prevalent on weapons. -Several characters are capable of equipping different weapon types. These weapon types offer differing styles of gameplay intended to allow the player to hybridize certain characters. Different weapons grant different stat bonuses. -Spells cast by items are now mostly restricted to rods and staves. The power of these spells is lower than their casted counterpart, but they cost no MP. -Accessories such as gloves and rings have been reworked to resemble relics and accessories from later Final Fantasy entries. Defensive bonuses these items used to provide have been rolled into bodywear. -Arrows now enjoy unlimited use. Buy a quiver and fire away! previous versions of this mod. -Accessories are now more important than ever to help prevent these ailments! -Curaga items have been made more common and are now purchasable at certain shops. -Fat Chocobos no longer require an item to summon. They can be found in most small chocobo forests as well as a few other places. -Almost every enemy in the game has had their stats adjusted. Enemies as a whole have more HP and hit harder than they did in vanilla. DS/mobile HP levels were used for most enemies. It generally takes one round of attacks or hitting a weakness to kill an enemy. -Many enemies have had their race, resistance, and weakness tables adjusted to make more sense. -Very Weak to an Element has been removed from every enemy (this was a 4x bonus). Weaknesses hit for 2x, resistances for roughly 1/2. Racial bonuses have been lowered from 4x to 3x and are much less common than elemental resistances/weaknesses. -AI of monsters has been altered so not every enemy spams Fight until they die. -Monster formations have been changed in several places so that there's not as much repeating of old enemies. -Enemies no longer drop equipment. Most enemies drop consumables at a reasonable rate. -Spells, abilities, monsters, and items have had their names changed either to align more closely with what they are or to more closely resemble their names in newer versions of the game. Some liberties were taken as the game imposes strict character limits, but you should see less abbreviations overall. -Nearly every dialogue box in the game was edited or completely altered. Proper English is now used in most cases, and the characters should display more personality with their new dialogue. -Townspeople often give hints on where to go or what to expect next. -The Training Room has been rewritten to provide a good overview of basic game functions as the original text was pretty vague or hard to understand. -Events occur in a different order from the original game almost right from the start! -Maps were edited in several places to account for dungeon pathing. -Damage floor tiles have been changed from -50HP per step to -10HP per step. -Some NPCs were removed from certain areas in order to be re-used elsewhere or to prevent strange occurances. -Map headers (the thing at the top of the screen when you enter an area) have been spruced up a bit to make some areas sound less bland. -A number of sidequests have been added at roughly the 2/3 point of the game which provide a break from the action as well as VERY lucrative rewards. -Y-button dashing has been added to indoor areas! Hold the Y-button to dash. -There exists the possibility of a small continuity error involving airships at a certain point of the game depending on player actions. Everything plays normally, but airships may be relocated near the player. -Dashing (Y-button) while entering a cutscene or climbing a rope will result in movement within the cutscene playing out faster or slower than intended. -There is a brief graphical glitch during a ship-riding sequence. It lasts for 1/2 second at most and appears to be related to map topography. It is a one-time occurrence. Removed individual-status curing items and replaced them with multiple-status cures. Ammonia can be purchased for 50GP each and Remedies for 100GP each. Shops, treasures, starting items, and drops have been adjusted. As a result of the above item changes, some treasure chest contents are completely different. Corrected the index for KO spells to no longer add Float in addition to KO. Remedies should no longer remove Float. Removed +5 Wisdom bonus from the Leech sword. Lowered D. Knight's HP by 60% (10,000->4,000). Added Y-button dashing indoors, menu speed increase hack, and ATB bars (courtesy of Myself086). Removed the regular battle music in favor of playing the area music consistently while exploring. Adjusted encounter rates to fall between 6/256 steps to 8/256 steps (does not include overworld). Added Crow! 's TLD Equipment Screen Mod. Arrow quivers are now obtained in quantities of 1 instead of 10. Since arrows are unlimited, now only one arrow quiver can be equipped at a time (no stacking on a character's hand). Cleaned up the boat ride a bit. It still glitches, but the boat won't travel through rocks anymore. Go b z is no more. RIP Go b z... (corrected an error caused by text in the Equipment menu). Added the Critical Hit Fix by chillyfeez and GrimoireLD. Added Long Range Fix by Dragoon ZERO.